SAN FRANCISCO (AP) — The timetable for approving a franchise's relocation to Los Angeles could be moved up to the end of 2015. 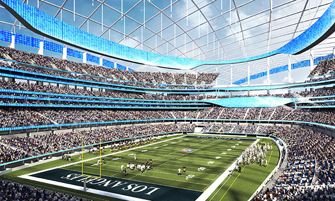 The St. Louis Rams, Oakland Raiders and San Diego Chargers are involved in stadium projects in the Los Angeles area that Com­missioner Roger Goodell has called “viable.” Grubman said there have been discussions on moving one or two teams if no acceptable stadium projects come together in the current markets. San Diego and Oakland have teamed up on one LA project.